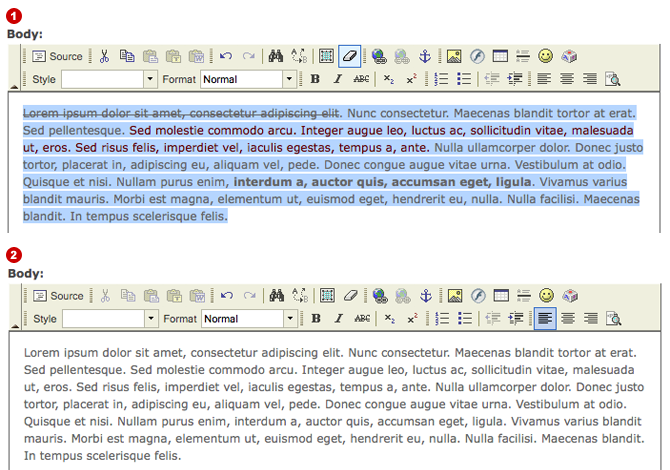 Highlight the text you want to make a heading, then use the Format drop-down menu to select what type of heading. The higher the number, the more prominent the heading. 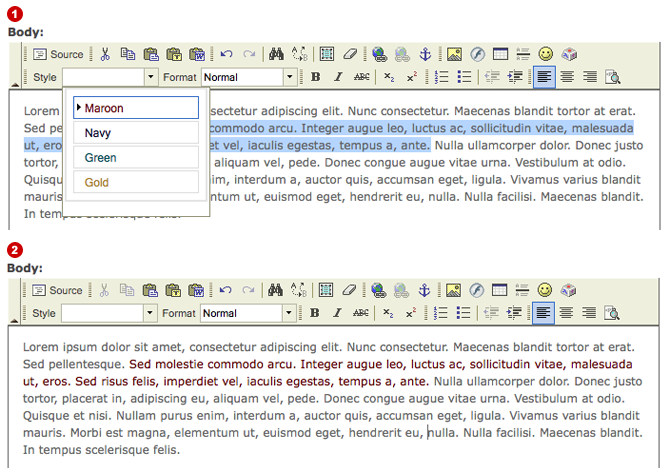 Highlight the text you want to color, then use the Style drop-down menu to choose which color you want. 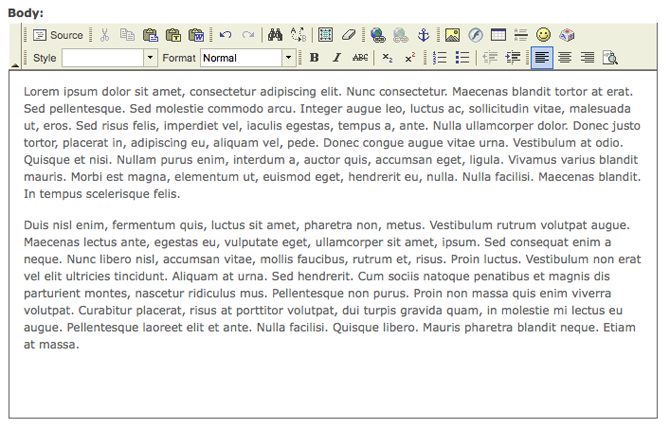 If you want to remove color or other formatting from text, simply highlight it and click the Remove Format button in the toolbar. 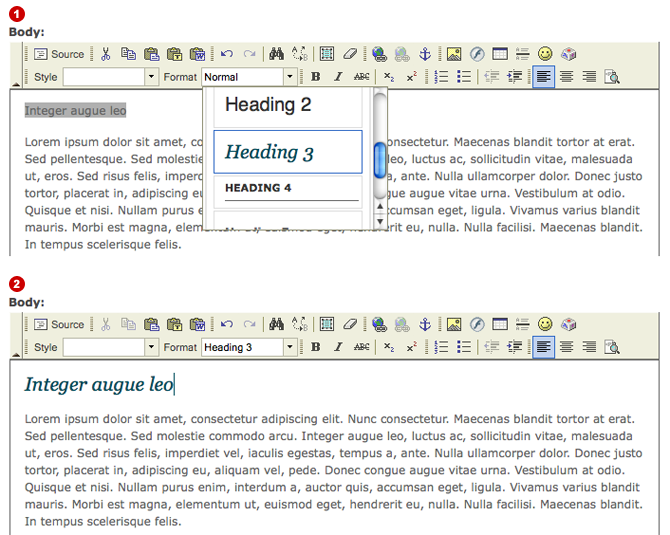 Note: for more complex image positioning, you may want to consider utilizing a borderless table, as described here. 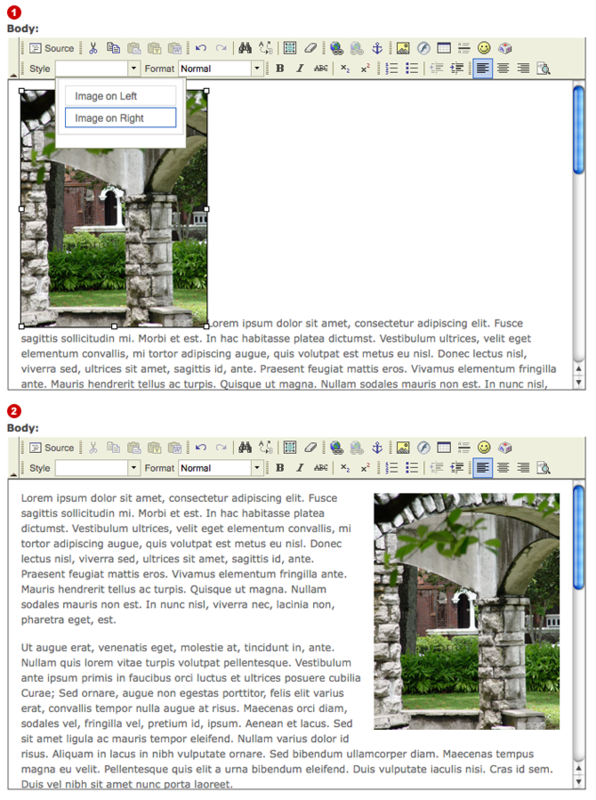 If you have any difficulties with text or images in Drupal, please contact the Web Team via webteam@loyno.edu.